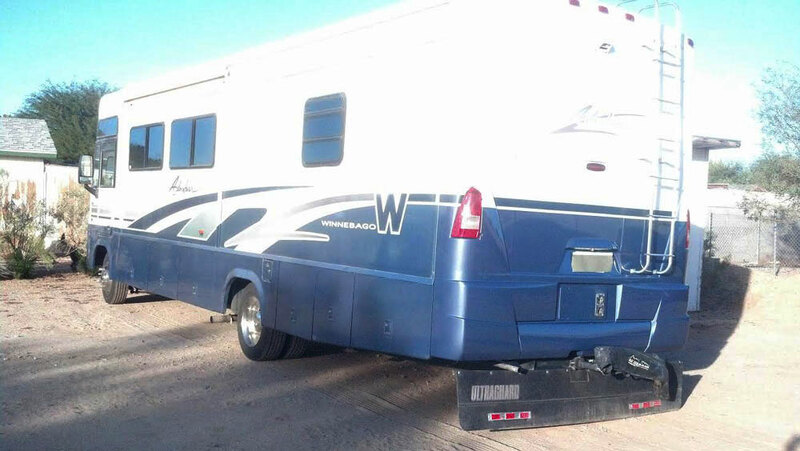 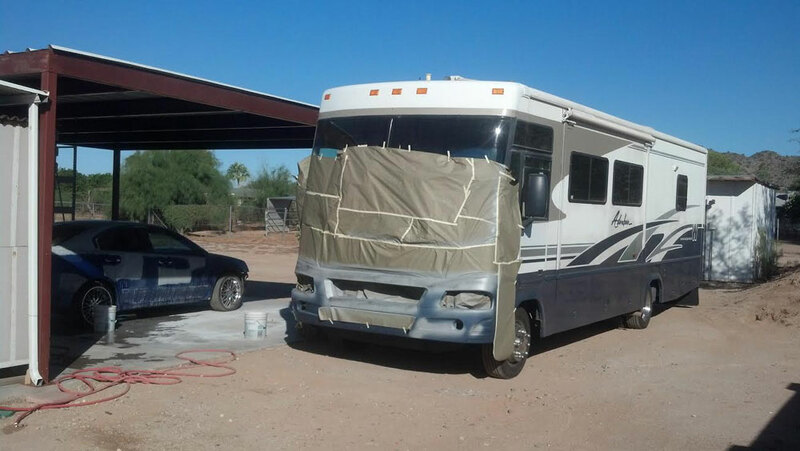 We offer professional RV auto body repair and refinishing. 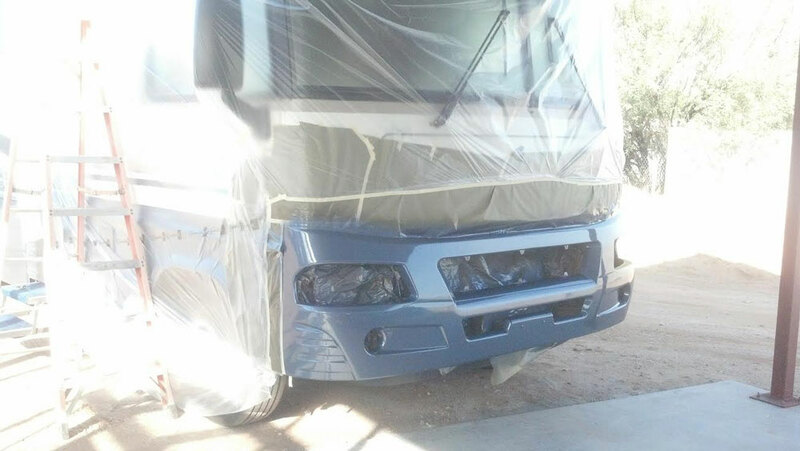 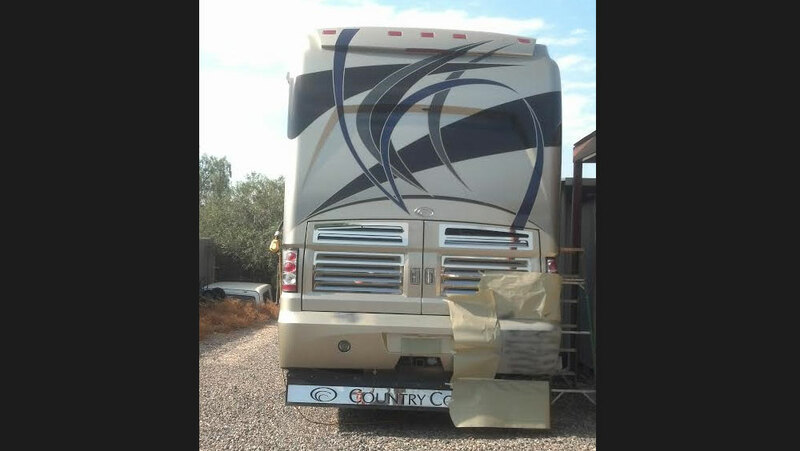 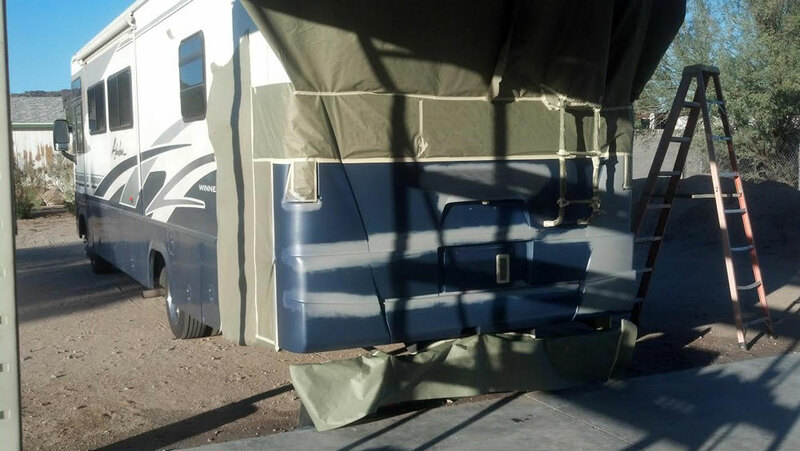 We have experience in fiberglass repair and custom paint matching for your RV or custom coach. 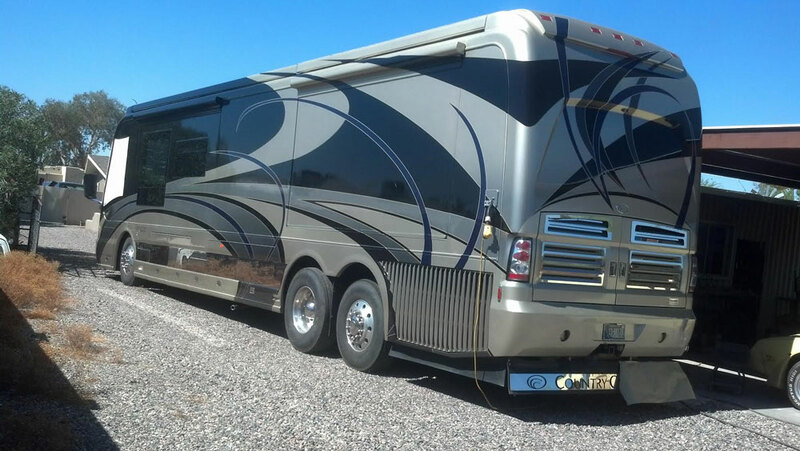 We can accommodate large coaches in a secure yard with security.